That’s a wrap! 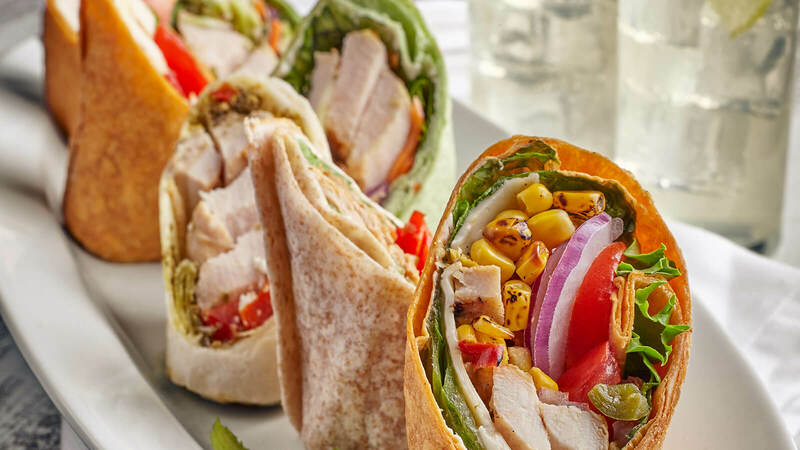 Our Signature Wraps feature unique flavor combinations and top-notch ingredients. Choose from California Vegetable, Chicken Pesto with Goat Cheese, Grilled Chicken with Broccoli Cranberry Slaw, or Spicy Southwest Chicken. Mix and match for a simple, filling lunch everyone will love. Please include a comment in Step 1 of Checkout indicating which wraps you would like to have in your platter.